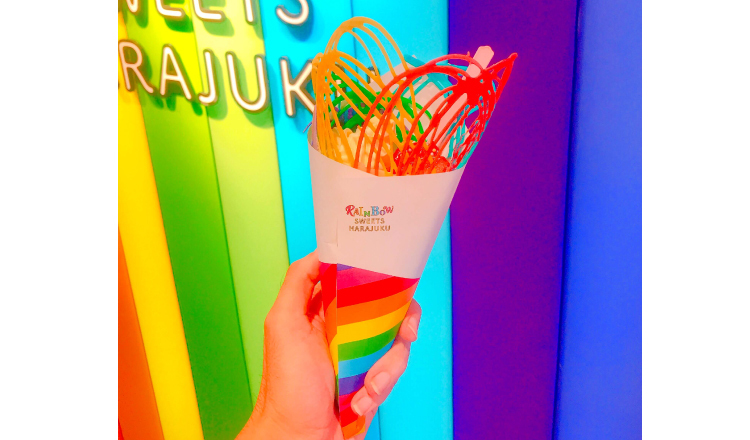 Rainbow Roll Icecream, Rainbow Cotton Candy, and now a Rainbow Crepe with 5 colored wings, is available at RAINBOW SWEETS HARAJUKU from November 6. Only at Takeshita Street in Harajuku… sweets and shop designed to offer a unique experience. Featuring a rainbow road, a rainbow wall, and of course rainbow sweets … this is a rainbow adventure. 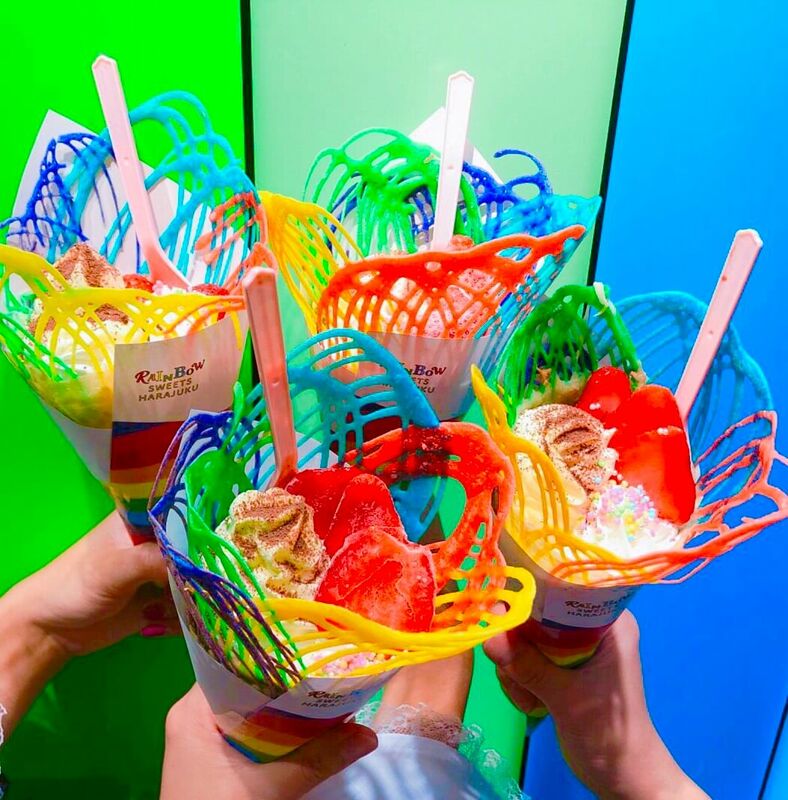 The Rainbow Crepe is strawberries and creme wrapped in five vivid color wings made of crepe dough, and topped with rich mascarpone cream. This sweet not only looks great, but taste great too! 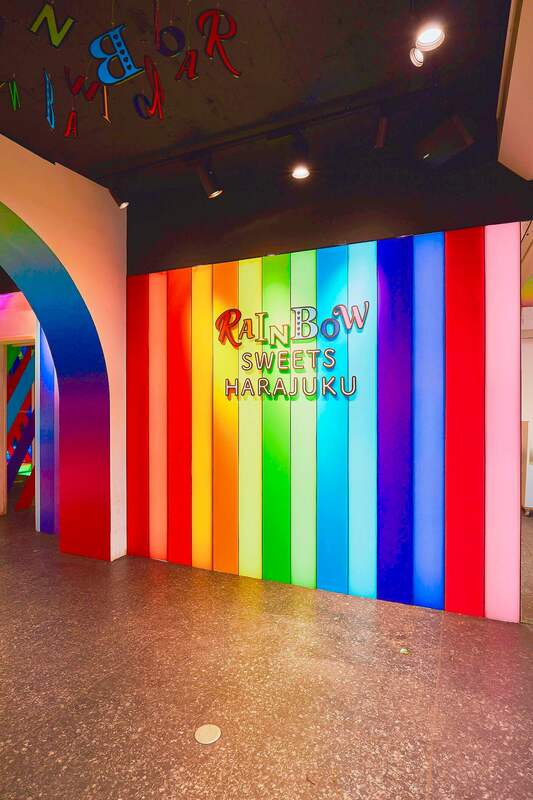 The Rainbow wall that symbolizes RAINBOW SWEETS HARAJUKU was designed as a new photo spot. Customers can enjoy their rainbow experience with the Rainbow wall as a backdrop. 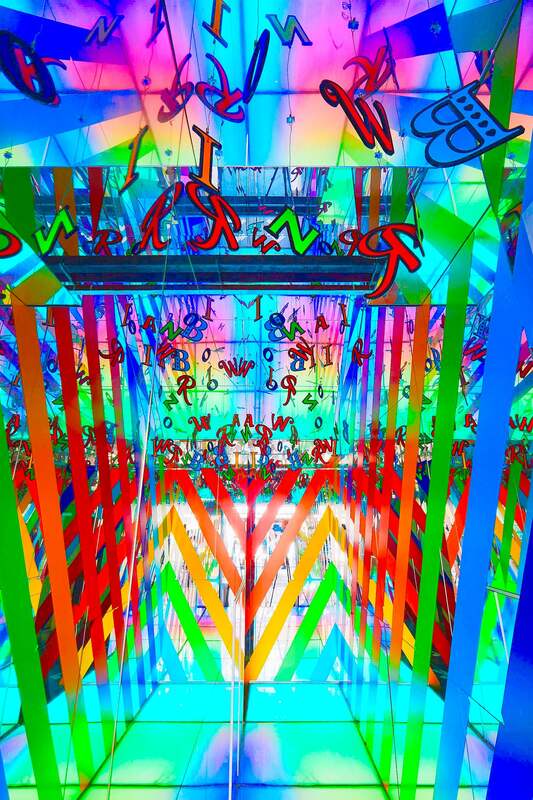 Let’s enjoy rainbow experiences, only in Harajuku!